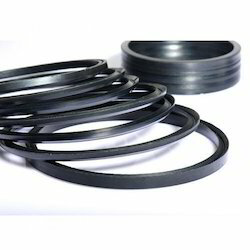 Chevron packing seals, or chevron packs, are a standard rubber or engineering plastic product that comprises of rings of multiple lip seals that have been stacked vertically between reinforced header and base rings. They are given the name chevron seals, or chevron v packing, because the cross section of the chevron packing seals reveals a row of “vee shapes – or “chevron pattern. OMM SEALS offers a wide range of stack-able packing designs. Commonly called Chevron Packing or Vee Packing or W Packing the sets are made of top and bottom adapters with pressure rings in the middle. 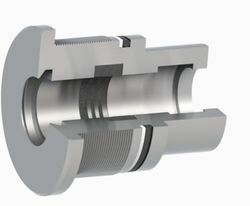 Each set consisting of a number of rings and the pressure rating of these sets is driven by the total configuration. Rod seal profile RS054 is a seal set consist of five chevron ring (3 fabric reinforced and 2 rubber rings) or three chevron rings (2 fabric reinforced and 1 rubber ring) and a header and a pressure ring.